Short of water and air, there is NOTHING more important than minerals and salt for the health of your horse. Salt is a mineral too, but because it is so important and because most horses are so deficient in it, we will discuss it by itself. Even if your horse gets a "complete" feed and even if you have salt or mineral blocks in the fields - THAT IS NOT ENOUGH! Literally, every function in the body requires minerals. Even the slightest imbalance can cause severe consequences and in my opinion, humble yet outspoken as it is (! 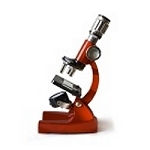 ), literally every disease is either directly or indirectly caused by an imbalance thereof! Even a simple "easy keeper" in almost all cases is out of balance on the minerals and salt. "Easy Keepers" just don't get enough - period, because they consume such little feed. When they don't get enough minerals (which is also true for vitamins, enzymes, probiotics, etc.) their metabolism is even more negatively affected and they become even more "easy keepers" eventually leading to such conditions as hypothyroidism, insulin resistance, etc .. These are those "night mare" colic prone, laminitic prone, "just waiting to happen" horror stories! Almost every horse in the world has a salt block. As I said, I say what I think and personally I think salt and mineral blocks should be outlawed. They are NOT your horses' friends! A horse just can't lick fast enough to get what he needs. If you have ever seen a horse chew at his block, chances are he is not getting what he needs. Cribbing, chewing on wood and other behavioral problems are also likely signs. 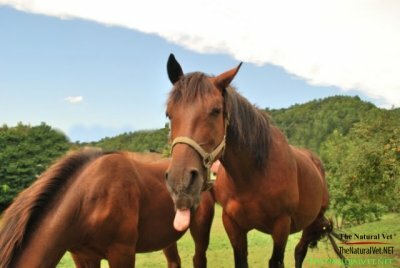 And know this: Horses ain't Lickers, but they are "LIKE'ers"! Of course they might give you an affectionate lick now and then and that truly is something for us all to like... and you might well see them licking (or chewing) a wood fence, licking at a metal fence or licking at the dirt, because they are seeking to get what they nutritionally need and that is something to be concerned with and something that makes the information below even that much more important. So what do we mean when we say they ain't "Lickers"? Simply, their tongues are not created to get all they need by licking. If you've read past emails, past articles and listened and watched past audios and TV shows (all here in the Library) you have long heard me say time and time again that horses just can't get what they need form a block. Have you ever noticed teeth marks on a block being provided for a horse? They're not there because they think that block is so great they feel the need to chomp away at it... rather it's because of the difficulty they are having trying to get the salt they know they need- and they do know! Blocks while designed to be "convenient" (for all), are designed for the tongue of the cattle which is rougher and more adept to getting what cattle may need. But even then...consider that ingredients in many, if not most blocks are toxic to our horses. To make it worse, our horses' mineral and salt needs changed with the weather just like the mineral content within grass changes with the weather. I once thought grass was just grass and that there was good grass and not-so-good grass. I never really thought about the chemical composition of grass changing as the weather changed. But that is exactly what happens and this change can be deadly! If you are a cattleman, I am sure you are familiar with Grass Tetany and Milk Fever, and the sudden death associated with its occurrence. These were once thought to be magnesium and calcium deficiencies. We now know it is from high potassium forages and grasses. Similar situations causing abortions and gut problems often occur in horses. What happens is that the potassium spikes during cool, wet conditions and especially after long droughts followed by rainfall and rapid growth. Situations like frost and freezing are especially bad. Have you ever had horse colic after a frost? Probably so ... the reason is a sudden mineral change in the grass, not just frozen grass! During these times, sodium, calcium and magnesium decrease, while potassium increases. This spike in potassium is often deadly. A major problem like this occurred in 2001 in the Midwest where reproductive losses occurred in thousands of horses, cattle, sheep and goats. This was severe in Kentucky. Often, cattle were just found dead a few hours after frost and freezes. Mineral blocks just cannot provide the minerals fast enough for such rapid changes in weather. Free choice, loose minerals are a must if such problems are to be prevented! Excessive potassium and subsequent calcium and sodium deficiencies almost always lead to other opportunistic and even infectious diseases. Potassium promotes the overgrowth of saprotrophic (microorganisms that normally grow on dead matter), commensal (organisms that live together but don't harm each other) and pathogenic (microbes that cause disease) microorganisms in the plant itself. These diseased plants then often produce and become the source of pathogenic bacteria (such as that which causes botulism) and also fungi which as we all know, our horses are extremely sensitive to - especially in fescue grasses. After eating them, horses and other livestock face an overgrowth of these microorganisms, which rapidly grow and produce toxic by-products like ammonia. Excess ammonia is deadly - especially to fetuses and the immune system. Early and mid-term fetuses may abort, while near term may suffer premature birth and/or septic weak births. By the way, this problem is no limited to grass. Hay can also be the source - especially from fields that are heavily fertilized. Naturally balanced sea salts are the best source of sodium salts and are excellent sources of many other essential macro and micro minerals. Man does have somewhat of an idea of what animals needs are, but truthfully there are minerals today that we did not know of 5 years ago, and there will be minerals years from now that we don't know of today. If we don't know they exist, how can we put them in a mix? Personally, I prefer Mother Natures' sources. These are also less likely to contain undesirable ingredients such as lead, aluminum, cadmium and even mercury. According to one study at a major university even dicalphosphate, which is almost always a major part of mineral mixes is often contaminated with lead and cadmium. Typical white salt used in blocks and most mixes is really made for industrial use anyway and since our horses and live stock consume such a little amount by comparison, this industrial grade is usually what is used. Any white salt is also bleached and kiln dried - this is not a very "natural" process. Salt and mineral blocks are not enough and should be outlawed in my humble opinion. Probably the worst problem is the excessive other minerals that are added to free choice mixes and even trace mineral blocks. This is especially a problem with many "hoof supplements". These are usually full of minerals and will often help and they "look good" on the analysis BUT again, in my humble opinion, they often tip the scales of balance the other way leading to excessive amounts of other problems in the future. A slower, more naturally balanced approach leads to more stable health. According to my sources and with personal experience in thousands of animals, if sodium and calcium are always readily available free choice, macro and micronutrients will more likely remain and deficiencies are less likely to occur. 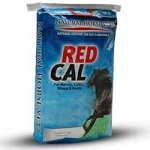 The most important thing you can do for your horse’s health and wellness is to provide the natural source of salt, minerals and electrolytes that we ship tons of daily, RED CAL! 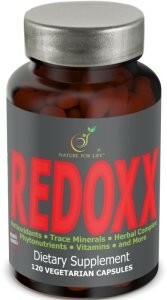 And be sure to click here to learn even more about our #1 product, RED CAL. 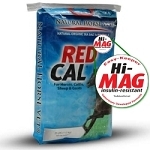 The RED CAL supplement is a formulation and combination of calcium, micro-nutrients and herbs to help keep your horse healthy. RED CAL is one of the components of Dr. Dan's "Feed For Success" program. Red Cal features the prized ingredient, MONTMORILLONITE CLAY- a rich source of minerals and other trace elements. Often referred to as "living clay" because it consists of minerals that enhance the production of enzymes in all living organisms. Unlike most, RED-CAL is not bleached, kiln dried, heated, or altered with chemicals or pollutants, its balanced by nature, not by man and its natural source is the dessert- an ancient sea bed, not the likely to be contaminated ocean. And since it comes from a desert that millions of years ago used to be the ocean, the micronutrients are "naturally chelated" with organic matter...there's just nothing else like it! The minerals utilized are the finest available, with detail especially to purity and absorption. You can expect support for stronger bones, muscles, ligaments and better performance regardless of discipline. 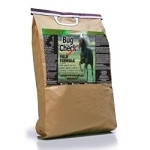 We believe this is our finest product yet developed and your horse will prove it. 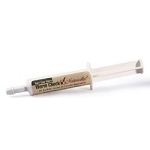 It is OK to provide along with any of our other products and provided for any horse, any age. Use year-round, all-they-want, all-the-time and remove all blocks and rocks for best results. As you'll hear me say in the video below, "it's the single-most healthy thing you can do for your horse"
Dr. Dan Moore is a practicing holistic veterinarian known as the Natural Horse Vet, Natural Pet Vet or simply Dr. Dan by most. Dr. Dan has been featured on several media outlets, national publications and events throughout the country. As founder of the Natural Vet Companies, Dr. Dan has formulated dozens of products for horses, pets and people with the personal mission to create natural solutions using natural alternatives that really work- and work for all!